How line managers and HR professionals can work successfully together to manage musculoskeletal conditions in the workplace. Special report by Katherine Taylor and Jonathan Daniel. Sickness absence is known to be an important cause of lost productivity. In the US, the total days lost due to sickness absence are estimated to represent up to 7% of all regularly scheduled work days. * Approximately a third of these sick days are due to musculoskeletal disorders (MSDs), back pain, upper and lower limb conditions. This huge burden on industry is often left to line managers and HR departments to sort out. It’s unlikely that this will be possible without the support of a health professional but by working together, line managers, health professionals and the HR team can get employees back to work in a planned way that benefits all. Without the support of occupational health professionals, the responsibility for managing employees with a musculoskeletal condition rests predominantly with line managers. Line managers are the ones to whom the MSD problems are initially reported. They are the ones who have to make decisions as to whether the individual is fit to continue with their duties. They also have to decide which duties employees should be doing and when and how they should return to work. Often there is a mismatch between what the employee feels they should be doing and what the line manager needs to have the individual do to be effective. Line managers are not health professionals and cannot be expected to know recovery times following an acute MSD episode. Family practitioner guidelines on fit notes can be vague and are highly unlikely to be job specific. There is also the ‘fear factor’ to be considered where employers, employees and family practitioner may be fearful of the effect that returning to work may have on the individuals’ condition. It can often be a protracted process. It is not unusual that because of a lack of specific knowledge by all parties, employees continue to be on light duties unnecessarily for months or even years. There are many pressures on line managers and it is understandable that they may feel that managing a return to work of a colleague is not a priority. If the line manager does not take on this role who will? Around 90 per cent of MSDs are compatible with some form of work. It is essential that all key players are aware of this and are able to inform their employees of the same. In order to maintain individuals in work however, employees may have to be given different tasks. This may be difficult in a heavy working environment. How do you make the transition from being off work and doing very little physical activity to doing 12 hour shifts handling heavy goods in a warehouse? We know of many instances where employees, despite being ready and willing to work have been turned away because they are unable to fulfill their full role. Whilst line managers are unlikely to have this specific ergonomic knowledge, they can still be creative in their approach to amending duties. As physiotherapists with specific ergonomics training we can point out the many ways in which duties can be amended, to allow a colleague to remain in work. Listening to what the employee feels is their main difficulty in doing a specific task, can prove very useful as allowing minor adjustments can make all the difference to the individual experiencing an MSD. We recommend that employers should seek ways in which to reorganize work tasks with a view to providing viable and productive short- term options for those with health conditions. The priority is to maintain workers in work wherever practically possible. This can significantly reduce sickness absence and add to the satisfaction experienced by all parties in this process. The role of HR is to liaise with all parties to help ensure that the return to work process runs as smoothly as possible, without unnecessary delays. HR professionals, like line managers, are not health professionals and have to rely on the information given to them by the individual, family practitioner or musculoskeletal specialist, to guide them as to how quickly the individual should return to work. Quite often this information is vague or relayed verbally and is open to interpretation. To improve this process, management protocols should be put in place. Protocols make the return to work process fair because colleagues are all treated in the same way. If the process is completely transparent and agreed by staff leaders and unions, issues of perceived inequalities can be avoided. One of the most important factors in this framework is that each part of the process is time specific. HR departments should make it their priority to maintain contact with employees. If an individual misses a return to work target another one should be put in place to keep the process on track. To help with the return to work there is written advice available, which can be accessed by HR or line managers and distributed to those who report a health condition. The benefit of having this type of advice to hand is that it is impartial and indirectly given from a specialist and not based on the opinion of an individual. The right type of advice given early on will inform the employee of what is expected of them in terms of facilitating their own recovery. It will give them the reassurance that work in general is not harmful and can be a very positive factor in the recovery from an MSD. It is also very beneficial in encouraging self-reliance and reducing the need for the intervention of a health professional. The distribution of a condition specific advice leaflet as soon as an employee reports an MSD can form part of a basic early intervention program. There will always be a percentage of employees for whom further intervention will be inevitable. As specialist physiotherapists working in occupational health we look at physical aspects of the complaint, formulate a diagnosis and then treat accordingly. If a colleague subsequently fails to return to work in the expected time, we look at other factors that may be affecting the return to work. This could be unhelpful beliefs that the individual has about their health and work, or social issues affecting the individual’s personal and professional life. Company polices may also be preventing a return to work for that individual. To be really effective, it would be desirable that all parties have a working understanding of the factors that influence the return to work process. This understanding does not have to be exhaustive, but a basic understanding of concerns that can affect an individual’s behavior can prove to be very effective in terms of managing a return to work. At all stages of the return to work process, the views of the employee should be taken into consideration. Historically, the retirement age in the US has been 65 years but, as in many countries, that is changing. It has recently gone up to 67 years and could go further with increased life expectancy and pressures on funding. 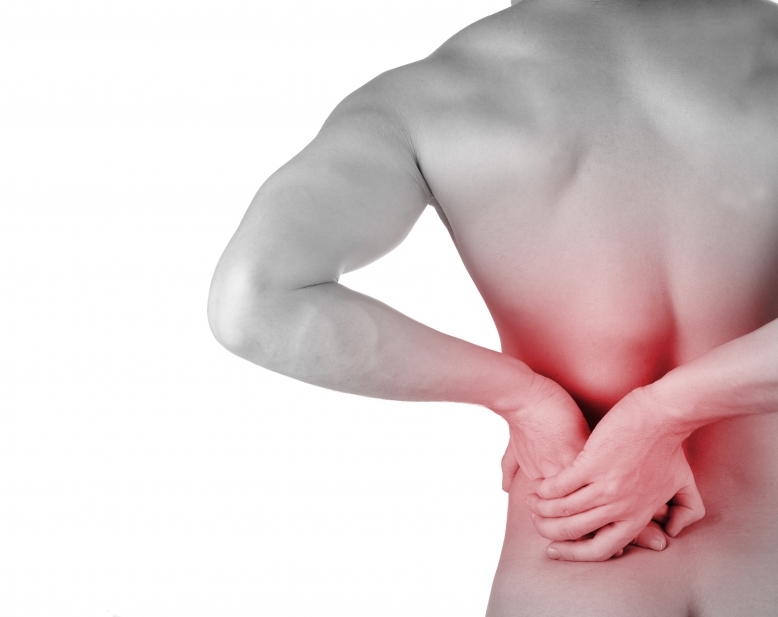 Prevalence of self- reported musculoskeletal disorders was found to rise to 51 per cent by the age of 61. Therefore the need to be able to successfully manage those with MSD conditions in the workplace will become paramount. Evidence indicates individual attitudes and skill sets are the major determinants of performance, not age. It is vital in the current climate that all concerned parties understand the benefits of retaining the older workforce. HR professionals, line managers and senior managers all need to know that often with minimal adjustment, workers with musculoskeletal conditions and other age- related health problems can be accommodated successfully and remain valued and productive members of the workforce. There are many gray areas when trying to return an employee back to work and full duties, but with robust procedures and an understanding of all the factors that can influence this process, much can be done by line managers and HR working together to reduce sickness absence caused by MSDs.